Bogotá 39 Book Sleeve. Published in Trade Paperback by Oneworld, 7th June 2018. On Saturday 20 October, South American writers Carlos Fonseca, Mauro Libertella and Mariana Torres joined Manchester Literature Festival attendees in Deansgate’s Instituto Cervantes. 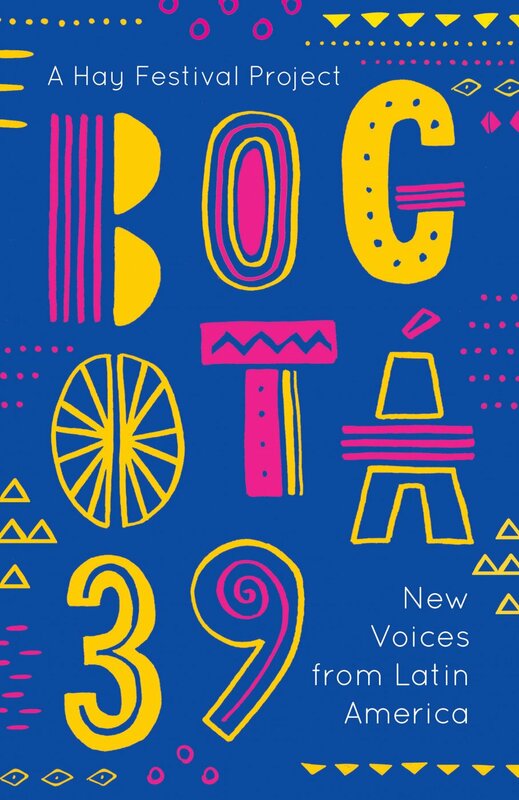 These writers have more than language in common – they have all collaborated in the production of 2017’s Bogotá 39. A collection of short stories and poetry, Bogotá 39 started in 2007 when the Hay Festival (an annual literature festival held in Hay-on-Wye, Wales) paired with that year’s UNESCO World Book Capital City, Bogotá, to identify a collection of the most promising Latin American writers under 40. Among these individuals were recognisable authors such as Juan Gabriel Vásquez, Junot Diaz and Alejandro Zambra. 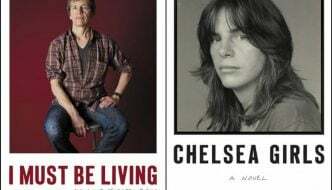 Ten years down the line, a refreshed selection of writers have received the accolade, birthing a book under the project’s name with intent of introducing readers to tantilising samples of each penned style and narrative. 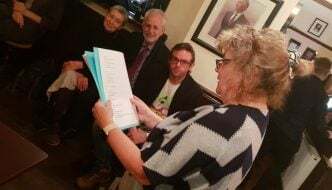 The writers present were joined by Dr Mariana Casale, scholar and founder of the Instituto Cervantes’ book club, Reading Rooms, who guided the conversation. Mariana Torres propelled the evening. Born to Argentine parents, brought up in Brazil and lastly relocating to Spain, it was no surprise that Torres’s story tackled the subjects of uprooting and identity. She read a snippet of her work which is written in a magical-realist style reminiscent of Cortázar, an extract which linked the experiences of being born with the planting of an apple tree. Asked about her own experiences with the problems of identity, she recounted a younger self’s rejection of her Brazilian upbringing upon her transfer to Spain. It was her way of acclimatising to her new environment, of accepting her new home. Her efforts to adapt to a Spanish identity were, on the surface at least, a success: now her English hints at a Spanish, rather than Argentinian or Brazilian, accent. But after her Bogotá 39 nomination, Torres told the audience, she felt her Latin American identity had been returned. Book stores in Madrid recognised this also: before appearance in the group, her books had been sold in the Spanish authors’ section. This ‘fact’ of nationality swiftly swivelled on its axis, placing her in the Latin American category soon after she’d been included in the list. In fact, Torres told the audience happily, she sells more copies in that section. 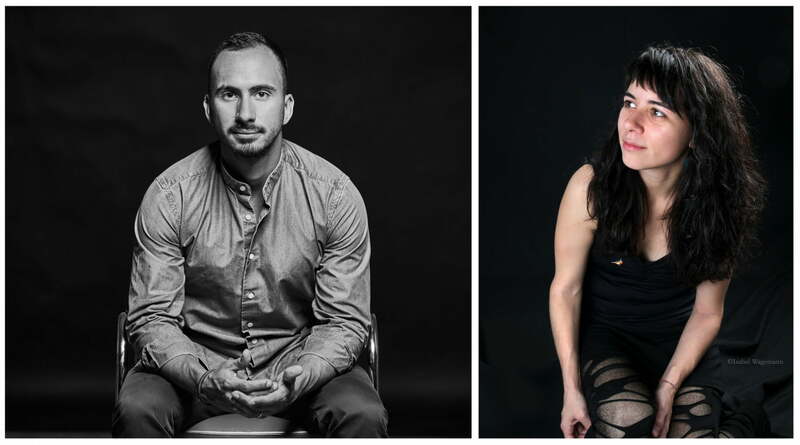 With all three authors having been born or grown up outside their country of origin, it follows that a conversation about national identity ensued. None felt able to define themselves as originating from a singular nation. Yet none seemed to regret their experiences. It was Mauro Libertella who summed the discussion up beautifully with an answer that the Chilean author, Roberto Bolaño, always gave whenever he was asked whether he felt more Mexican or Chilean: “One is made up of the books one has read”. Mauro Libertella followed suit – a Mexican-born son of two prominent Argentine writers currently living in Buenos Aires. Libertella’s style is personal and intimate, although the extract he shared in this case was fiction. Taken from Work in Progress Libertella compares the refurnishing of a new house with the process of writing. He described the difficulty of coming into his own as a writer when constantly confronted with his parents’ success. His first book, Mi libro enterrado (My Buried Book), published seven years after his father’s death, tackled the double-pronged angst of living in a parent’s shadow compounded by the personal tribulations of writing. As Dr. Casale described it on stage, the writing of Mi libro enterrado finally occupied the deleted presence of his father simply by describing it. The evening’s recurring theme was continued by Carlos Fonseca, originally Costa Rican, but raised since childhood in Puerto Rico. Fonseca is currently a professor at Cambridge, having studied at a clutch of the UK and US’s most prestiguous universities, where his area of focus has been Latin American identity. The extract which he chose to read to us from ‘Museo animal’ (‘Animal Museum’) reflected this interest. It depicted a group of foreigners, referred to as ‘gringos’, moving through a jungle looking for Latinos. When they finally find the natives of the jungle, they are not the exotic community they had hoped to find, but ordinary people who wear rock shirts and live in a decaying village. Fonseca used the example to explain how the Latin American identity – an identity which was then appropriated and arguably exaggerated by writers of the Latin American boom – has been historically defined by Europeans and North Americans. These writers from the 70s have become to define Latin American literature for many foreign readers. Subsequently, it has become difficult for many contemporary Latin American writers to be read internationally without being compared to García-Marquéz or Vargas Llosa. Contemporary Latin American literature, like the idea of a Latino identity, is therefore categorised and defined in accordance with foreigners’ preconceived notions, which in this case, is shaped by writers from the late 20th century. Bogotá 39 writers: Carlos Fonseca by David Myers, and Mariana Torres by Isabel Wagemann. The evening concluded with an insight to the writers’ experiences of collaborating with other literary professionals such as translators, writers or editors. Looking specifically at the experience of being translated, Fonseca compared re-reading his work in English to the sensation of hearing your voice in a recording. The emotional inflection is that even in the knowledge of it being your speech, it somehow feels alien. This sentiment was echoed among the other speakers, each describing the way a translation can take a life of its own. Further agreement was found in highly valuing the vital opinions of friends, teachers and classmates, especially when the feedback is harsh. Torres advises that budding writers should turn to loved ones to read their work – they are less scared of hurting your feelings. Coming from South America myself, it was great to see that the majority of the audience was not Latino or Hispanic, but UK nationals who were simply interested in Latin American literature. 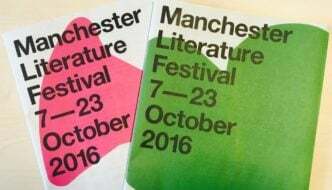 The popularity of the night’s event showed that the Manchester Literature Festival’s efforts to bring more international writers was a success. With increasing political divisions regarding immigration, it’s comforting to see how something as simple as a book can bring together a room full of people from different backgrounds and cultures.